It’s my favorite time of the year. Our neighborhood is having a block party, so I’m putting together a craft table. My pumpkin garland still needs to hang straight, though. I’ll be in costume, too. This year I’m thinking “Dark Fairy.” So don’t come to my door expecting candy if you’re not dressed up. A spook is a ghost, so this word means “like a ghost” or eerie or scary. Horses can also be spooked, making them nervous or skittish. Fright is a sudden and extreme fear. It’s not a general word. When I was writing “Sea Dreams,” I used “fright” and then went back to change it to “anxiety,” since the character felt a long-lasting fear. We hear about “frightful” messes and such in 19th century gothic novels. To my ear it sounds very proper, but a “revolting mess” sounds worse than a “frightful” one. This last use is a softer application of the second definition. 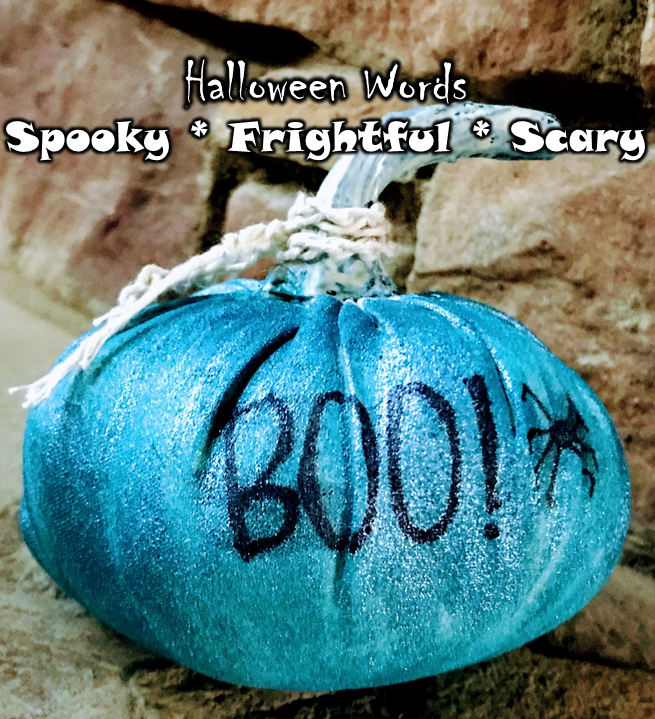 What other creepy Halloween words do you like to use this time of year? As I was reading the other night, my finger accidentally brushed over the word “utterly,” and the result was this very late post. It turns out that the word “utter” comes from two different sources depending on whether you use it as an adjective or a verb. 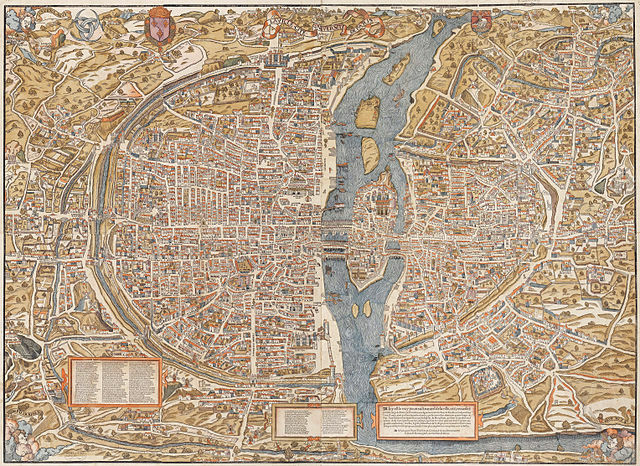 This usage originates from a Middle English word for “outer,” which suggests to me an “out-of-this-world” feeling, but probably which ties back to a castle or a town from that time period, surrounded by an “outer” ring road that encompassed the whole town, as shown in this map of medieval Paris. While they both stem from Middle English, the different meanings of “utter” have utterly different roots.